GRAFTON, ONTARIO - 20 August 2012 - Ste. Anne's Spa announced today that SpaFinder® Wellness, the global spa and wellness resource, has once again named Ste. Anne's Spa as the winner of the prestigious 2012 Country Award for Canada. This recognition is given annually to the number-one most-voted spa in Canada by spa-goers across the world in SpaFinder Wellness' Readers' Choice Awards. The 2012 Readers' Choice Awards tallied a record amount of votes globally - more than any other year in its 10-year history. As such, the Awards provide the most comprehensive consumer assessment of the global spa market available today, identifying spa-goers' favourite spas by continent, country/region and across 27 categories. "Working your way to the top of a global industry is nothing short of an extraordinary feat," noted Susie Ellis, president of SpaFinder Wellness, Inc. "This Country Award salutes the hard work of Ste. Anne's owners and staff who achieved this honor together by delivering the highest standards for spa and wellness available today in Canada for every client, every day." Ste. Anne's Spa owner, Jim Corcoran, was thrilled to hear that his property won the Favourite Spa in Canada for the 7th year in a row. "For the past 20 years, Ste. Anne's Spa has provided a rural oasis to help people rebuild their strength, recapture their energy and reflect on what is truly important in their lives. Winning the SpaFinder Award 7 years in a row is a direct reflection of guests satisfaction with our service. There is no better way to be rewarded as a business owner". Ste. Anne's Spa has catered to the needs of its guests by creating an inviting and comfortable environment that focuses on rejuvenating your body and soul. The Main Inn and Ontario spa cottages are nestled across 400 acres of scenic, rolling countryside; each uniquely appointed accommodation features it's own style and amenities. More than 35 rejuvenating spa treatments revitalize and soothe the senses while world renowned Chef Christopher Ennew's scrumptious cuisine delights the palette. With an eye to enhancing their offering, this year the iconic destination spa also launched its own Skin Care line, Ste. Anne's Skin Nourishment and a new bakery specializing in gluten-free breads, tarts, cakes and other local products. 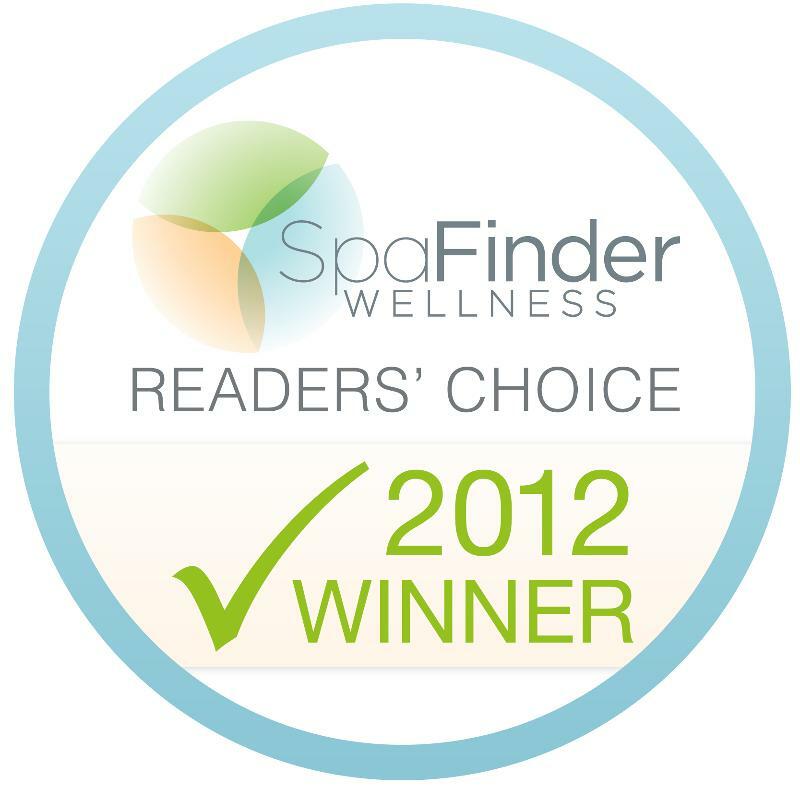 The complete list of winners of the 2012 SpaFinder Wellness Readers' Choice Awards can be viewed here. For more information on Ste. Anne's Spa, please contact Marijo Cuerrier or Kyle Hylton at 905-349-3704 ex 280 or by email at marijo.cuerrier@steannes.com or kyle.hylton@steannes.com. Visit the Ste. Anne's Newsroom for more news and events at the #1 Relaxation Spa/Hotel in Canada. Since 1985, Ste. Anne's Spa has catered to the needs of its guests by creating an inviting and comfortable environment that focuses on rejuvenating your body and soul. The Main Inn and Ontario Spa Cottages are nestled across over 400 acres of scenic, rolling countryside; each uniquely appointed accommodation features its own style and amenities. More than 35 rejuvenating spa treatments revitalize and sooth the senses while our culinary team creates scrumptious cuisine which delights the palate.